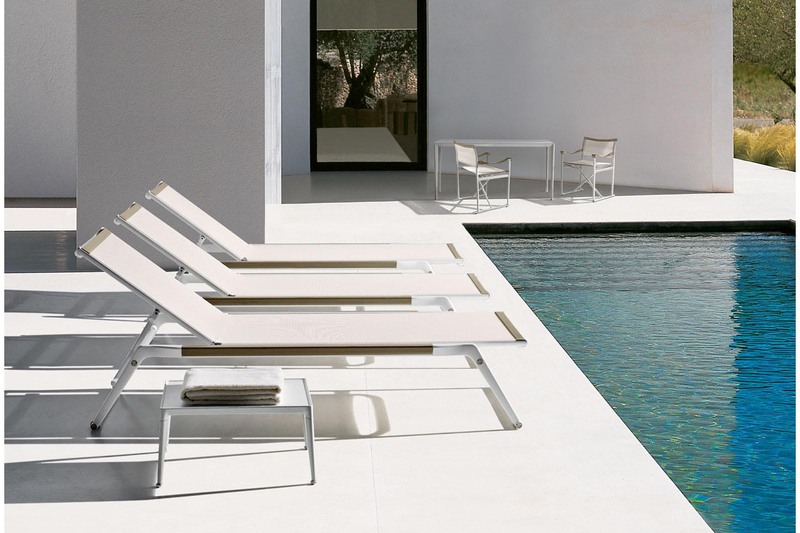 A classic is born: a new outdoor collection debuts with this idea, expressing stable elegance. We can tell who created it merely by observing. A daybed with manually reclinable backrest and a small folding armchair are the beginning of a series of mesh and metal furnishings, which is surely destined to grow. The first piece starts with a die-cast aluminium bridge-like frame: a sign where proportions and thicknesses count. Instead of wheels, it has two small and very discreet rollers that allow it to move, placed on one of the two crosspieces. 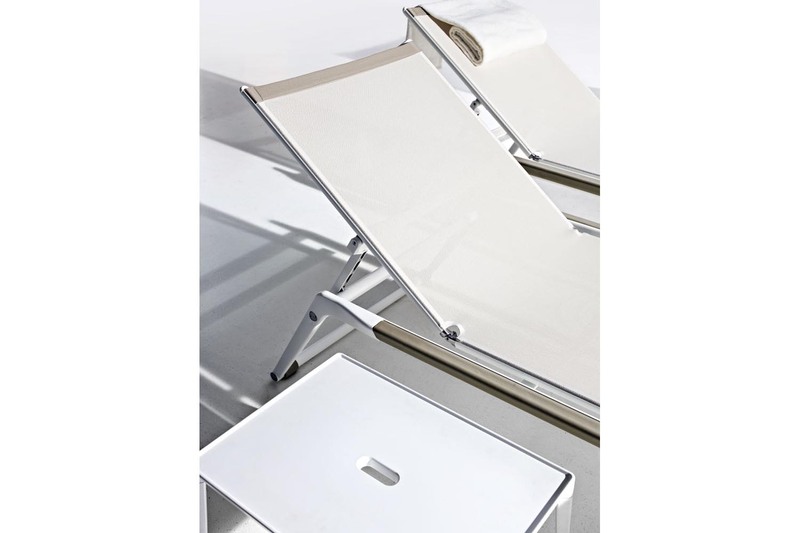 The folding armchair revisits the classic shape of the director's chair, with precise details. 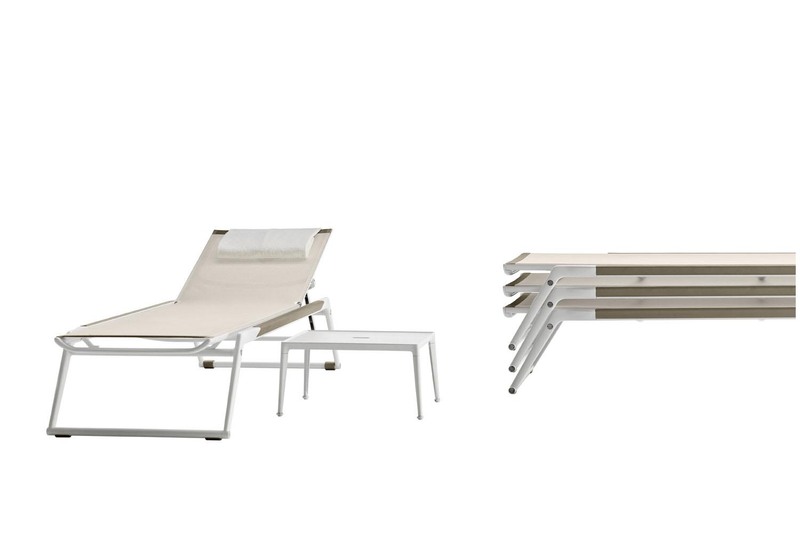 The mesh and metal parts are finished in two colours, white and tortora. For furnishings of a single colour or with contrasting profiles.